Mike found his passion for helping others through his own journey of healing and recovery. He started his career in the mental health field working with adult clients who suffered from complex trauma and PTSD, as well as chemical and process addictions. He has since traveled to India to study and become certified in Yoga and Meditation. He is a Florida Certified Addiction Counselor and an Internationally Certified Alcohol and Drug Counselor through the International Certification & Reciprocity Consortium (IC&RC). Mike is also a nationally Certified Trauma Professional through Spirit2Spirit Trauma Healing and has been trained in Integral Somatic Psychology (ISP) by Dr. Raja Selvam as well as Integral Breath Therapy by Carol Lampman. 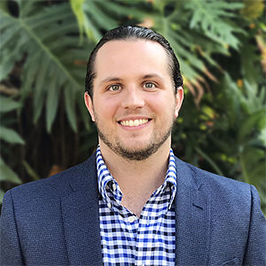 He is currently the Lead Counselor at Family First Adolescent Services, a residential and outpatient treatment center for adolescents and their families who struggle with addiction and trauma located in Palm Beach Gardens, Florida. In addition, Mike is excited to serve as a Training Assistant for the NARM Training Institute, helping to support clinicians as they learn the NARM approach to working with issues stemming from developmental, attachment and relational trauma.